Birthplace : Jonesboro, Arkansas, U.S.
John Grisham is the author of several best-selling novels of the "legal thriller" genre, including The Firm (1991), The Pelican Brief (1992) and The Client (1993). Grisham graduated from law school and set up a legal practice in Mississippi in the early '80s. His first novel, A Time to Kill (1989) did moderately well, but his second, The Firm (1991) made him a household name, thanks in large part to the $600,000 he got for the movie rights. Several of his courtroom dramas have been made into movies, including the novels The Pelican Brief, The Chamber (1994) and The Rainmaker (1995). Although not the hot property he was in the '90s, Grisham's books continue to be quite popular, including The Brethren (2000) and The Summons (2002), and A Painted House (2001), one of his few books outside the thriller genre. 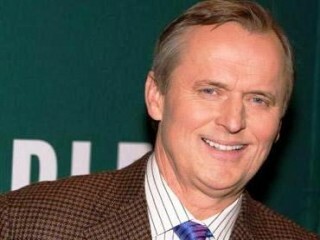 View the full website biography of John Grisham.